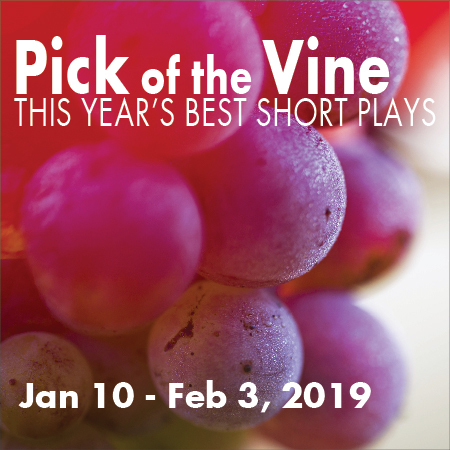 Harvested from over 800 short plays submitted from around the world, Little Fish Theatre uncorks its 17th season of Pick of the Vine on January 10. The audience and critic favorite is a perfectly blended bouquet of nine short plays where audiences will experience Magic Moments with such flavors as: an existential crisis in the frozen foods section; a scale that tells more than your weight; and a time-traveling farmer out for some rabbit-hating revenge. Thursdays Jan 10, 17, 31 at 8:00 p.m.
Fridays and Saturdays, Jan 11 through Feb 2 at 8:00 p.m.
Sundays Jan 20*, 27 and Feb 3 at 2:00 p.m.
Saturday Feb 2 at 2:00 p.m.
Sunday Jan 27 at 7:00 p.m.